On Dec. 28, 2018, the award winning Netflix series, “Black Mirror” released their newest installment, “Bandersnatch.” Aside from “Black Mirror’s” infamous dystopian plot lines, what makes this film unique is the interactive aspect. “Bandersnatch” is the second time Netflix has released a film with a choose-your-adventure style. In June 2017, Netflix released the children’s movie, “Puss in Book,” which allowed plot choices to be made. In “Bandersnatch,” viewers can chose from seemingly insignificant options like what the main character, Stefan, has for breakfast or choose between major plot points like suicide or passwords he should be entering. “Bandersnatch” is a choose-your-own-adventure book written by Jerome F. Davies that Stefan has found in his late mother’s items. Stefan plans to pitch the idea of creating Davies’ book into a video game to the fictional software company, Tuckersoft. 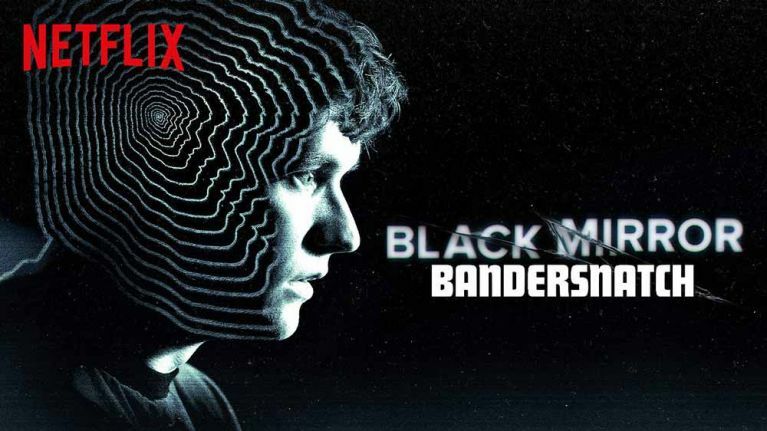 Viewers later discover that Davies went insane while writing “Bandersnatch” due to the copious amounts of hallucinogens he was abusing. This led him to believe that his wife was poisoning his food, so he decapitated her and wrote the glyph symbol on the walls with her blood. As is expected with “Black Mirror,” the cinematography is one of the best. Additionally, the dialogue is exceptional and is one of the factors that has made it the well loved and successful show that it is today. It is difficult to convince an audience of the bizarre scenarios that Stefan is experiencing, especially during an interactive episode. However, “Black Mirror” impeccably allows the viewer to fully submerge themselves in the plot. Like all installments of “Black Mirror” there is a heavy philosophical influence. “Bandersnatch” has a primary focus on free will. When discussing free will, German philosopher Friedrich Nietzsche immediately comes to mind. Nietzsche claims that free will does not exist. In his book, “The Antichrist” Nietzsche argues that man should be seen as a machine. Even if randomness or “generic chaos” is added, this does not affect anything. In regard to religion, Nietzsche argues that if God wills good, but evil still exists, there is no good God and no free will. In “Bandersnatch,” the viewer gets to play God, although a malicious one. However, the viewer also has limited free choice. There are many “dead ends” which force the audience to start over with a different option. Charlie Brooker, the creator of “Black Mirror,” has outdone himself with this unique episode. While the interactive aspect is groundbreaking in its own right, Brooker does not skimp on the plot of the philosophical motifs.